Cool Centre Air Conditioning Services is a family run business, that specialise in the design, installation, servicing and maintenance of all market leading brands of Air Conditioning units in Essex and London. We strive to build a reputation with our clients as a responsible and reliable company, who offer a complete, cost and energy efficient solution. 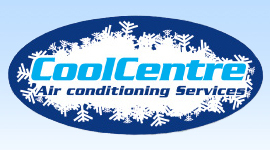 Cool Centre Air Conditioning Services offer a comprehensive service. For information on our Installation Service click here or click here for more on our maintenance services. We aim to provide the highest level of service at all times. By using a wide range of the latest energy efficient air conditioning systems we are sure you will find the right solution for you. © 2014 BR Solutions Ltd 04865353 | Webdesign by Delicious Webdesign.